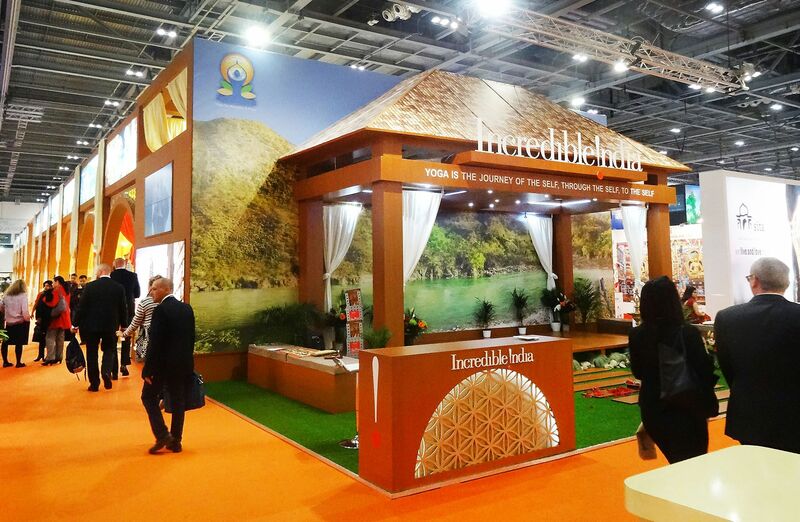 While a multitude of travel and tourism professionals attended WTM 2018 event and discussed about the latest trends, campaigns and issues of negative tourism, the Indian Pavilion offered niche tourism products like adventure, yoga and Ayurveda with its new Incredible India 2.0 campaign to attract international tourists. The travel industry every year comes under one roof at World Travel Market (WTM) in London to discuss and promote tourism in order to generate revenue in return for the stakeholders of the travel ecosystem. The event puts the spotlight on the latest developments in the tourism industry in terms of technology, new trends, digital-tourism and more. The global travel event this year was held from November 5-7 at ExCeL London and witnessed over 50,000 attendees and 5,000 plus exhibitors from different tourism segments – tourism boards, airlines, hotels, wholesalers and travel buyers. In its 39th year, WTM London conducted sessions on different sectors of tour and travel industry. While celebrating World Responsible Tourism day, the event focused on minimising environmental impacts; creating economic benefits for local people and also understanding cultural and environmental issues. While international tourism has crossed the mark of 1.3 billion, ‘responsible tourism’ has become essential to take measures against the negative consequences due to the growth in this segment. Kerala Tourism won the award for World’s best in Responsible Tourism category for the second consecutive year for its responsible tourism initiatives. A multitude of travel and tourism professionals attended the event and discussed about the latest trends, campaigns and issues of negative tourism. Furthermore, there were discussions on the internet’s role, especially social media and other digital mediums to keep up with customers’ digital advancements. The Indian Pavilion was packed with travel agents and consumers from around the world which was inaugurated by Rashmi Verma IAS, secretary, ministry of tourism, government of India. There were delegates who were present at the event including Pramod Kumar Singh, tourism minister, Bihar, Vellamandi N Natarajan, tourism minister, Tamil Nadu, Aashima Mehrotra, director, ministry of tourism and Charanjeet Singh, deputy high commissioner of India to the UK. Last year, there was an increase in the foreign tourist arrivals in India by approximately 14 pc as well as 19 pc in terms of foreign receipts and 6.8 pc of global growth, according to Verma. As the growth of the tourism sector in India is enhancing due to the adoption of the multi-pronged strategy and establishment of excellent infrastructure around tourist sites, for the first time it has touched the 10 million mark. “Incredible India 2.0 campaign is more thematic in nature. Looking at the needs and demands of major markets like the US and the UK, we have made some thematic films on niche products like adventure, yoga, Ayurveda, etc. This campaign focuses heavily on social media besides print and electronic media. We are hopeful that through this new Incredible India campaign we will be able to encourage people to revisit India, stay longer and experience the various products we have on offer,” said Verma at WTM. At the Kerala Tourism pavilion, an international event was inaugurated by Kadakampally Surendran, minister of Kerala tourism, who was joined by Rani George IAS, Kerala tourism secretary, R Rahul IRS, MD, Kerala tourism development corporation and other delegates. Recently, Kerala tourism was extensively affected due to a massive flood attack and thus the state pavilion sent out a clear message at the event that tourism is back to normal in the state. India is emerging as a preferred destination across the globe with its unique tourism products for both international and domestic tourists. The ministry of tourism have taken a key initiative to introduce e-visa to 166 countries, medical and MICE tourism and more to create awareness and take India a step ahead in the international events like WTM.